How Much Do Penguins Cost? Many people wonder how much do penguins cost when they see these cuddly and cute birds on tv or in a zoo. After all, who would not like to own an animal that looks so lovely and almost like a small toy. Well, if you have been looking online for how much penguins cost, you might be in for a surprise as you cannot buy penguins like any other pet. There are several conditions that you need to fulfill to make sure the penguins will be happy and comfortable. 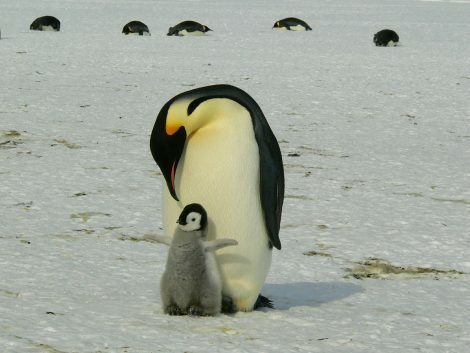 First off, penguins need cold conditions to live and survive. The temperatures in their native Antarctica can plunge several degrees below zero and penguins need to be in the cold weather for their biology to function properly. If the weather around them is too hot or not cool enough, they will not be comfortable. Also, penguins are social creatures that need to be close to other penguins to communicate, mate, and socialize. This is why penguins need to live with other penguins and if you are thinking of buying a penguin, be prepared to buy more than one or two of them. 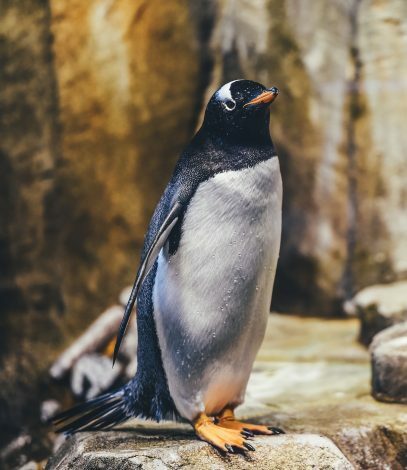 While it is near impossible to legally obtain a penguin as a pet, as there are several conditions you need to fulfill and permits that you need to get in order to even consider owning a penguin. Even then, you can only get a penguin from a facility that holds USDA permits. Also, the penguin must be born in captivity, and it should not be a penguin that has been isolated from its natural habitat. As penguins fall under protected species, you cannot simply go to a pet shop to buy a penguin. Along with that, you have to consider the various costs that you will have to bear in order to keep a penguin safe and happy outside of its natural habitat. Let’s take a look at the cost of some of the arrangements that you will have to make in case you buy a penguin. Feed – Penguins eat a lot of fish or krill when they are living in their natural habitat. To keep a penguin well-fed in captivity, you will need a large supply of fish that can come up to 400 pounds of fish a year per penguin. Penguins feed several times a day so they will need constant attention for their feeding times. Feeding a number of penguins can cost several thousands of dollars depending on the kind of fish you choose to feed them. As you will be taking the penguins away from their natural habitat, you will also need to feed them with vitamins and supplements to make up for the loss of nutrients from exposure the sun and water. Shelter Arrangements – Depending on the size and number of the penguins, you will need to make special living arrangements for the number of birds you plan to get. Penguins like to live, eat, and move around in groups so you will need space for them accordingly. Penguins require living spaces that have vegetation, cold water, pools of clean salt water, and temperature control. Penguins are used to living in cold environments, and that’s why they need really low temperatures to survive out of their natural environment. Maintaining a pool of salt water is also expensive as penguins need deep water to swim and dive into. The pool will require regular cleaning because penguins often poop in the water they swim in. Medical Expenses – Penguins are unlike any other birds so you will need a specialist vet to examine and treat any medical issues that penguins might face. You also have to consider that a vet might charge more to examine a penguin as it is an exotic bird. Transporting a penguin to a vet’s clinic or getting a vet to examine a penguin at your house might add to the expenses. If you need any specialized vitamins or medicines for the penguin, you need to factor in that cost as well. In case a penguin falls sick, you might need to visit the vet in an emergency and that can add to the costs of keeping a penguin. Cost of Permits – If you are willing to fulfill all the above-mentioned conditions, there are several other considerations as well. You will need to get the appropriate permits that can vary in cost depending on your local authorities. Other Considerations – There are about 18 species of penguins present in the Southern hemisphere, and most of them are considered endangered. It is also illegal to buy a penguin and keep it as a pet. You also need to consider the ethical fact that you will be taking an endangered species out of its natural habitat to live in captivity. A penguin will never be as happy and healthy in captivity as it would be in a natural environment. As buying a penguin is a near impossible task and it is also illegal, the next best thing you can do is adopt a penguin at your local zoo or any zoo in your country. You can visit the zoo’s website and donate an appropriate sum for the well-being and care of the penguins in that zoo. Different zoos offer adoption programs, and you can check one out as per your budget and requirements. There are several advantages of adopting a penguin as you will be contributing to the welfare of a species that is under the threat of extinction. Donating to zoos for penguin adoption is also a great way to spread useful knowledge about these wonderful birds. So, do you still think you should buy a penguin? We hope that instead of buying you should consider adopting a penguin at a local zoo. Do let us know if you have any questions or queries about how much penguins cost. Our team will do its best to answer your questions in the comment section.